Now in its 12th year, the Hot Docs Canadian International Documentary Festival, which ran from April 22 through May 1, has become a must-attend event for three purposes. It's one-stop shopping for Canadian documentary; it provides excellent panels and briefings for emerging producers; and it includes the Toronto Documentary Forum, where lucky producers from all over the world get a chance to make 15-minute pitches to an assembled bank of commissioning editors from TV systems in Europe, North America, Australia, Japan and the Middle East. Hot Docs showcases the strong tradition of Canadian documentary, which is fed by state funds. Canadian docs made up more than a third of the total (with nearly another third from the US). he National Film Board (NFB), dedicated to funding documentary and animation for 65 years (and putting a toe into "alternative drama," which has elements of reality within narrative), is the big resource. The Canadian Television Fund and cultural and development agencies also are among the funders for Canadian producers. Canadian docs featured at Hot Docs this year demonstrated a wide breadth of subject matter and styles. Cross and Bones opened the Canadian Spectrum strand. Director Paul Carrière traveled to Drumheller, Alberta, where a dinosaur graveyard attracts scientists in the same locale that local creationists host a passion play and bikers gather for a rally. Vivid characters, sadly, rarely interact across their micro-cultures. Little Jesus, which won an award for Best Direction in the Canadian Spectrum, is that rarity among personal documentaries: a generous film about family dysfunction. Director André-Line Beauparlant's little brother was left profoundly damaged by birth trauma. In the working class Catholic family, for some, Sébastien was a little god, for others a saint and for still others the end of the family's good times. The film remarkably permits the viewer entrée into these perspectives, and chronicles the terrible sadness of the wounded family without laying blame. 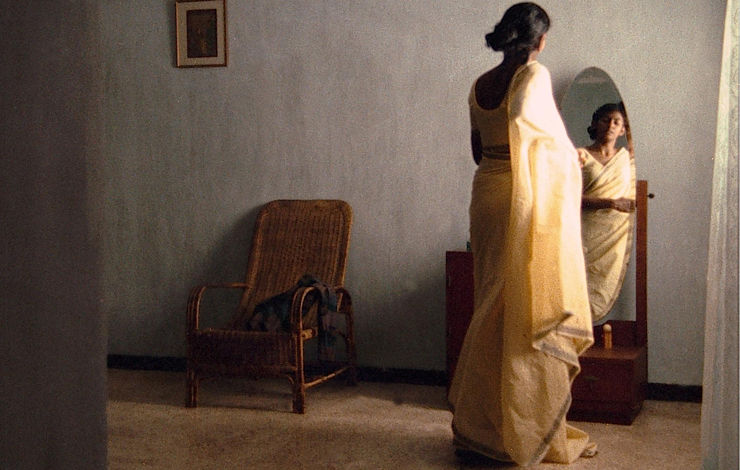 Canadian Helene Klodawsky's No More Tears, Sister follows the life of a Sri Lankan Tamil academic who was murdered by the terrorist organization known as the Tamil Tigers, which claims to defend the interests of Tamils in Sri Lanka, for her defection. Without frills and with some re-enactment, the film makes an earnestly powerful case for human rights abuses by the Tigers. The festival's US offerings ranged from the testosterone-drenched opening night Murderball (quadriplegic extreme sports) to the warmhearted, funny and thought-provoking Abel Raises Cain. Alan Abel's daughter Jenny Abel, with co-director Jeff Hockett, reveal Alan's astonishing vocation--playing pranks and conducting elaborate hoaxes, partly as performance art and partly in order to raise public awareness of the powerful, and unaccountable, role of media in public life. His canny ability to play on both gullibility and prejudice triggers rueful laughter. The jury award for Best International Documentary and the Audience Award both went to the US doc Street Fight, about the 2002 mayoral race in Newark, New Jersey. Marshall Curry's film, which was scheduled for later broadcast on PBS' P.O.V. on July 5, chronicles the electoral battle of light-skinned African-American and Rhodes Scholar Cory Booker, running against an entrenched political machine. Hot Docs offers a variety of ways to survey the field. Emerging producers were able to benefit from a day of panels on the basics of music scoring, copyright clearance and making the most of a first-film launch. Panels coordinated by the National Film Board offered filmmakers a platform to describe the ethical and technical challenges facing them. In a discussion on women in war, Helene Klodawsky and Tamil activist Nirmala Rajasingam discussed the difficulties of finding Sri Lankan Tamils and expats who would go on record about their intimidation by the Tamil Tigers. At a panel on changing distribution trends, Canadian producer Harry Sutherland heralded the ability of producers to sell directly to target audiences. Wellspring's Vanessa Arteaga noted that DVD sales have become an important aspect of distribution. She pointed to the record numbers for orders that Netflix places for the theatrical distributor's documentaries--up to 10,000. Tom Perlmutter of the NFB noted that tailored versions of a work are now so normal that "there is no longer a definitive version of a film." He noted as well the importance of cultivating interest communities. At the panel "Clearance Hell," panelists discussed the problems filmmakers have today with copyright clearance. Panelists addressed, among other things, the Center for Social Media report "Untold Stories," which highlights the link between overzealous compliance with copyright and creativity. (Full disclosure: The author, director of the Center for Social Media, was on the panel) In Canada, attorney Howard Knopf explained, user rights are more explicit and precise than in the US, which makes it easier to know when you can use copyrighted material without licensing it. However, there is no First Amendment in Canada, meaning that filmmakers cannot rely on this powerful argument to quote material without licensing it, and defamation laws are harsher. In Canada as in the US, Knopf argued, it was important to shift the "clearance culture" in order to benefit filmmakers and their audiences, and that one place to start was by knowing the law and not clearing rights you don't have to clear. At the Forum, producers and potential funders furiously worked the room at every break in a slickly run, two-day event. Veteran producers, many with some backing from a funder at the table and some with deals in the making, were more common than emerging producers. Versioning was almost taken for granted--producers were ready to cut and expand for each commissioning editor's request. Some attendees noted that the 15- minute pitch segments, in focusing on finding buy-in for co-productions, minimized discussion of the work. "I was looking to hear more from other editors about why they would choose or not choose, and what they're looking for," said one commissioning editor. Still, most agreed with Court TV Vice President Ed Hersh when he thanked the organizers for a filmmaker-friendly environment, saying, "This is an industry event that you actually want to go to." Hersh was there to explain that Court TV was opening up to more authored documentaries, as it beefed up its not-for-the-ratings-but-the-prestige side of the channel. Among other presenters, Satnam Matharu from the Al-Jazeera Channel announced the channel's interest in co-productions, with the hope that its 32 hours a week of documentary programming could grow up to be a stand-alone channel. This year, Hot Docs featured Israeli cinema, with 14 films in its "Spotlight" strand. Among the films to attract attention was Anat Zuria's doc about the difficulty for Israeli women to win a divorce, Sentenced to Marriage, which earned Best Documentary in the Spotlight honors. Hot Docs also featured retrospectives on two filmmakers: Canadian documentarian Larry Weinstein, renowned for well-told, thoughtfully constructed films about music (most recently, the engaging Beethoven's Hair), and US documentarian Errol Morris, honored with an Outstanding Achievement Retrospective. Australian Dennis O'Rourke and American Eugene Jarecki both offered master classes. Hot Docs is also a beloved local event. The sight of a snaking line of people patiently waiting in the spring chill for the next screening of a doc from Colombia (La Sierra, a stunning vérité view from the slums, by Scott Dalton and Margarita Martinez) is powerful testimony. Pat Aufderheide is a professor at American University, where she is also co-director of the Project on Intellectual Property there.